The MA in Art & Research Collaboration is open to graduates from various disciplines. Applicants to ARC must have an undergraduate qualification of 2nd Class Honours or higher at Honours Degree level. Those without this qualification may be considered provided they can demonstrate Honours Degree equivalence, which can be verified through the RPL (recognition of prior learning) process, and they are required to present a qualifying essay of a standard that demonstrates their ability to undertake work at MA level. Admission to the programme will be based on review of application materials and (in the case of eligible candidates) interview. The ARC programme application deadline is Friday 24 May 2019, 4pm. International [Non-EU] Fee: €16,000 (total full course). Applicants must submit a completed IADT postgraduate application form (available on the IADT website here), two references, a CV, and copies of Birth Certificate, Transcripts of Results (and Certificates of English Language Competence, if relevant). 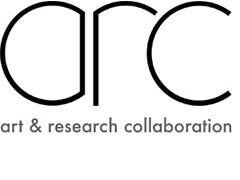 All applicants to ARC must also submit a Project Proposal. (b) Exhibition(s), event(s), screening(s) you wish to curate. (c) Publication/written text(s), which could be experimental or academic in form. References to research by others, either within and/or beyond the art field, which is relevant to your project (max 500 words). If your project involves the making of artworks, you must also submit images of your previous work (5-10 artworks). Please caption your images with title, date and medium. You can also include links to documentation of video/audio/performance work (accessible on your website/vimeo/soundcloud/tumblr etc).